Drupal build out with theming and custom module development and high volume optimization (Varnish, Memcache, APC) as well as custom ApacheSolr search implementation. Developed in both German and English. Migration / import of data to populate site. Security updates, feature enhancements. 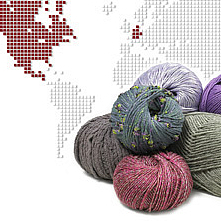 The home of premier handknitting yarn and design selection, available at retailers throughout the world.